ZZ Top and Jeff Beck looked like a great double bill on paper. They sold a good amount of tickets for what looked like a can’t miss show Friday evening. Things then went off the tracks from there as late Tuesday night ZZ Top bassist Dusty Hill slipped and fell on his hip getting on his tour bus. The result was Hill needing immediate medical attention and the tour dates be cancelled. Depsite the cancellation of that little ol’ band from Texas, Jeff Beck and Tyler Bryant stepped up to the plate and tried to help fill the void. The outdoor stage at Seneca Allegany Resort & Casino was the setting as both Beck and Bryant put on a dazzling display of guitar work that satisfied what turned out to be a decent crowd all things considered. Beck said in a related statement regarding the ZZ Top cancellation “While we are very disappointed to not continue this tour with ZZ Top, our thoughts and best wishes are for Dusty to have a speedy recovery”. Beck did his part as he stepped into the headliner spot and for those who have never seen Beck let me tell you he is every bit as advertised. The Rock and Roll Hall of Famer and Grammy winner put on a heck of a show. His current band includes Rhonda Smith on bass, Jonathan Joseph on drums and Nicolas Meier on guitar. Vocalist Jimmy Hall did not come out until the band’s fourth number “Morning Dew”. Hall would then bounce in to sing a few tracks and then leave periodically throughout the night. Whenever a list of guitarists is compiled one thing for sure is Jeff Back’s name will be somewhere near the top of that list. 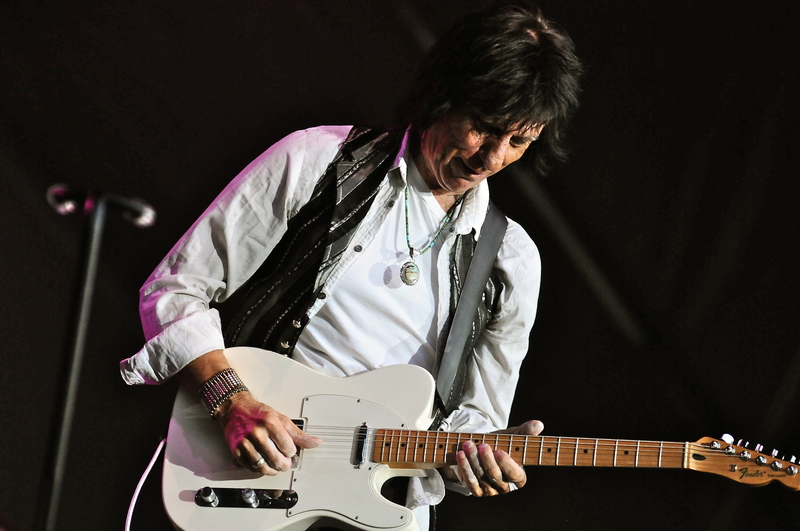 He is widely considered one of the most influential guitarists off all-time. It is hard to believe Beck is now seventy years old. He looks and plays like a man half his age. Seventy must be the new forty as Beck played with swagger and finesse that most guitarists can only dream about. Opening the show with a brief set was Tyler Bryant who played a solo acoustic set to get things started. Bryant is an extremely talented twenty-three year old guitarist from Texas who many feel has a real bright future ahead. Be sure to catch his regular band Tyler Bryant & The Shakedown if they come to your area.